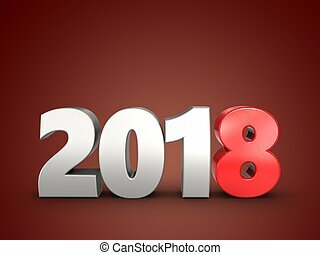 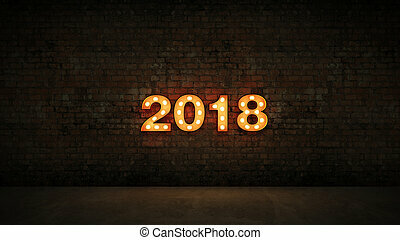 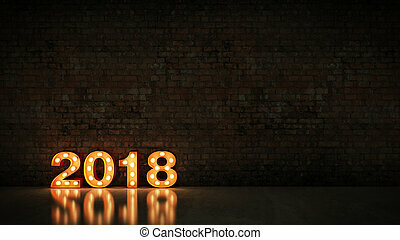 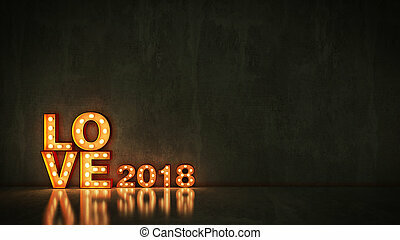 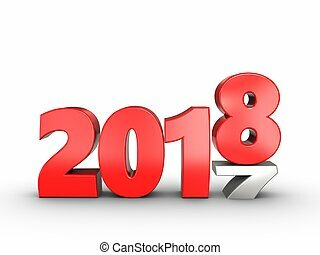 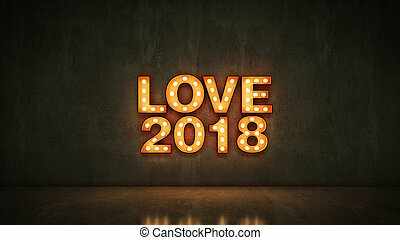 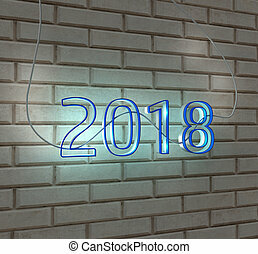 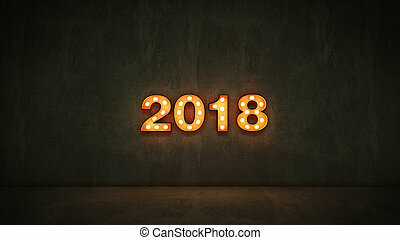 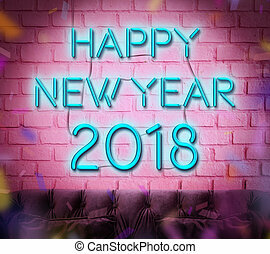 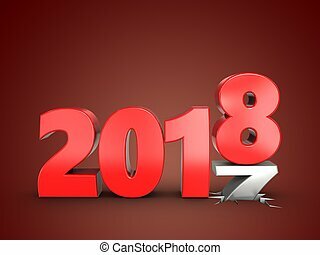 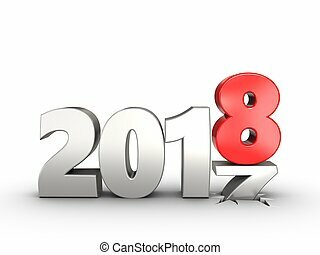 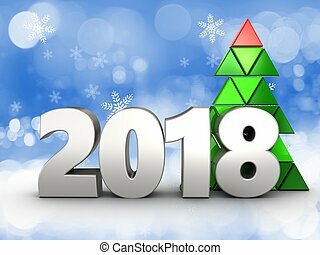 3d bricks 2018 year sign. 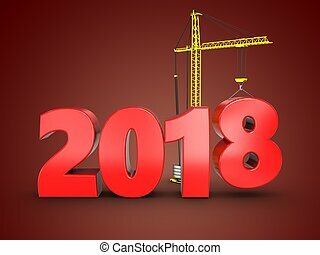 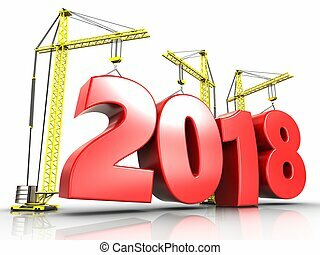 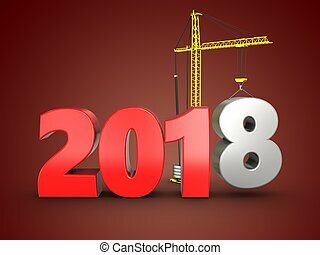 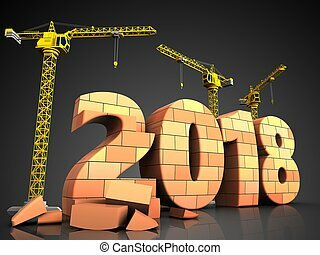 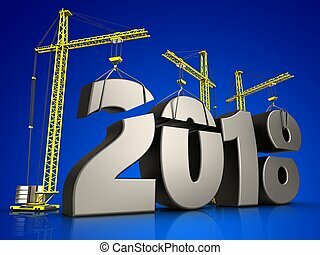 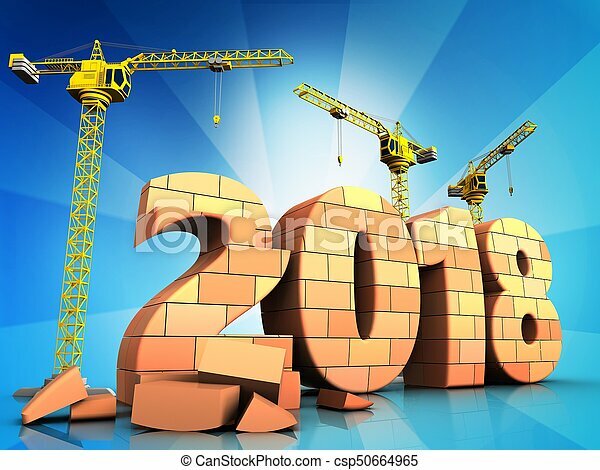 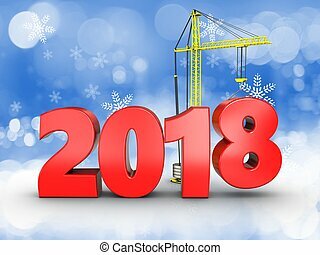 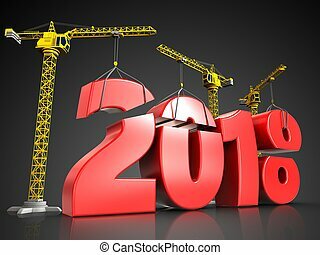 3d illustration of cranes building bricks 2018 year sign over background. 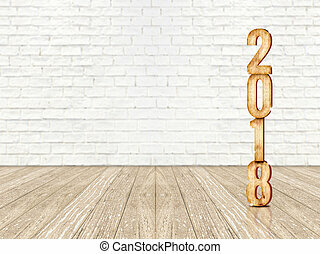 Happy new year 2018 wood number (3d rendering) in perspective wood floor and white brick wall room,Holiday concept,Leave space for display or montage of product for advertise promotion.